Throughout eastern Honduras, we document sites with rectangular plazas, rectangular structures, and ball courts. 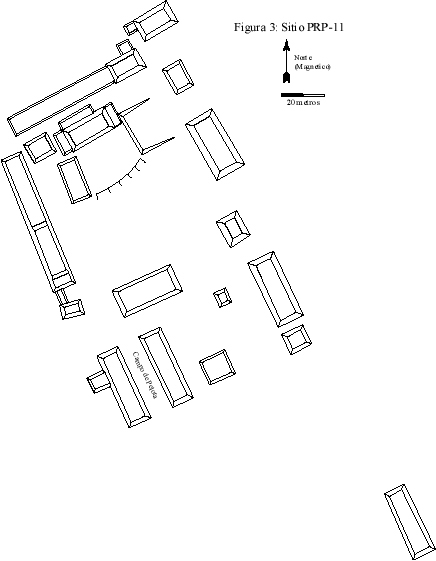 This pattern is similar to what we find further west and north, in Mesoamerica. 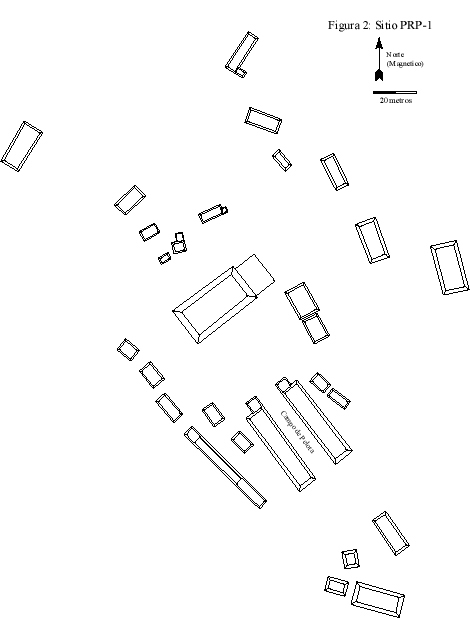 In fact, just looking at the site maps, an archaeologist might think these are Mesoamerican sites. 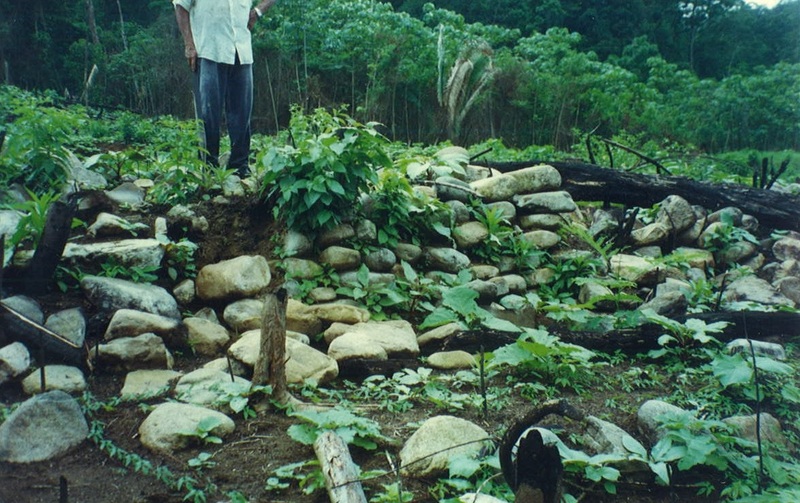 Further south, by the time you get to southeastern Nicaragua and into Costa Rica, these rectangular mounds are replaced by round ones, and the orthogonal, Mesoamerican-like site planning is not seen. When we look closer at the architecture, however, it is pretty disctinctive. 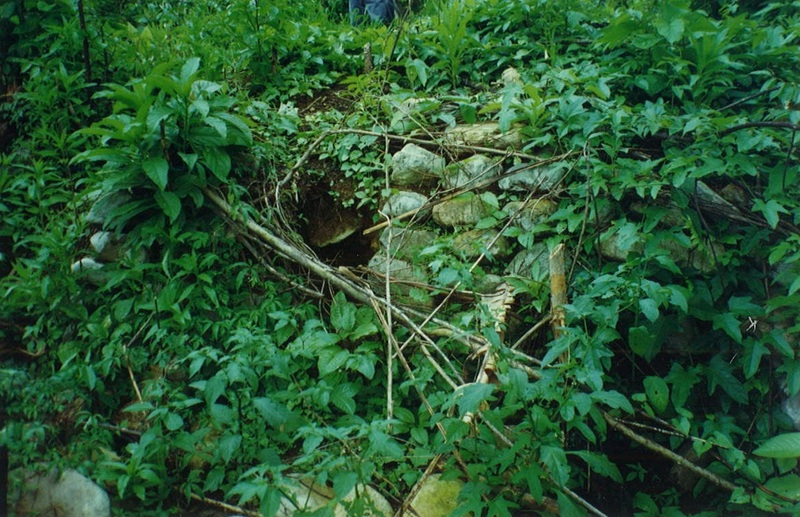 Most of the mounds in eastern Honduras are either cobble covered or have no stone at all on them (how did they not erode?). Some have vertical retaining walls, but always of unmodified cobbles. In looking at over a thousand mounds in this area (maybe far more than that), I have yet to see any cut stone – almost always river cobbles. 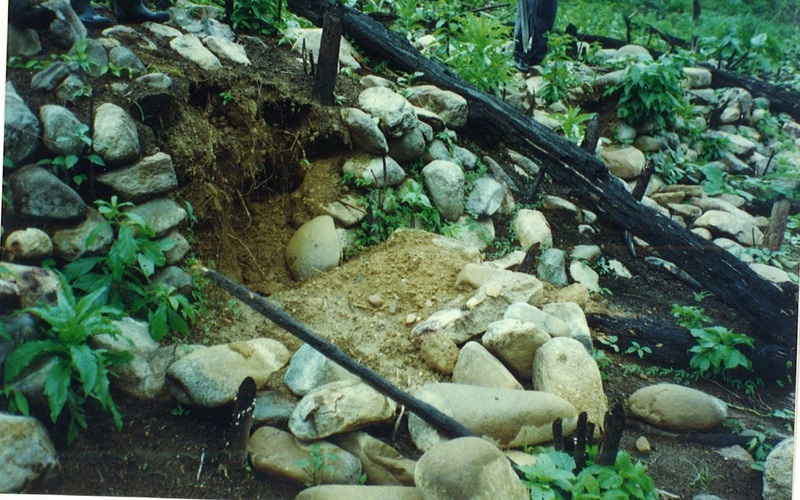 There is remarkable preservation on some sites, until the forest cover is cleared and the cattle and rain destroy these cobble walls that stood for a millennium. 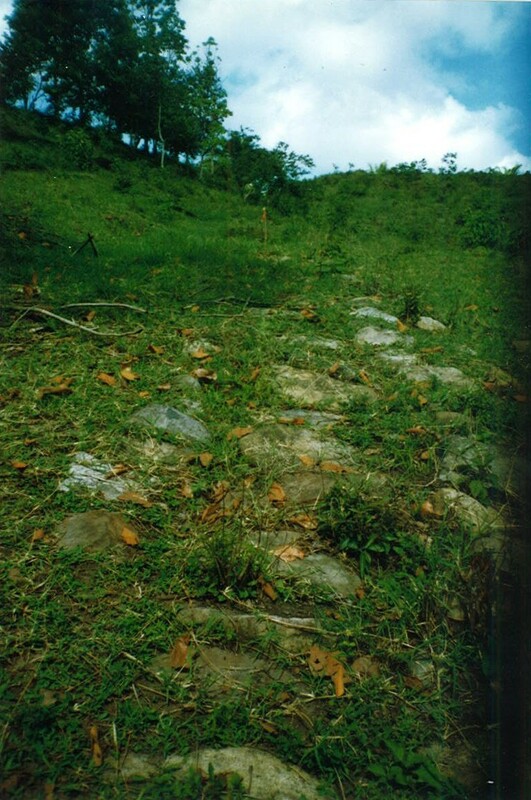 We also find numerous cobbled paths or roadways – some running for great distances (a km or more). According to some of the Pech who really know the region well, these run between certain sites, although I have never seen one complete enough to follow.